German Shepherd,Dogs,are one of the most popular breeds in the world today, known for their intelligence, good looks, nobility and loyalty. They are part of the Working Dog Group and were originally developed as a sheep herding breed. Because of the Breeds strength, intelligence and abilities in obedience training they are often employed in police and military roles, in forces around the world. Due to the German Shepherd Dog's devotion to its owner & versatility, their popularity has made the GSD highly desired as family companions. 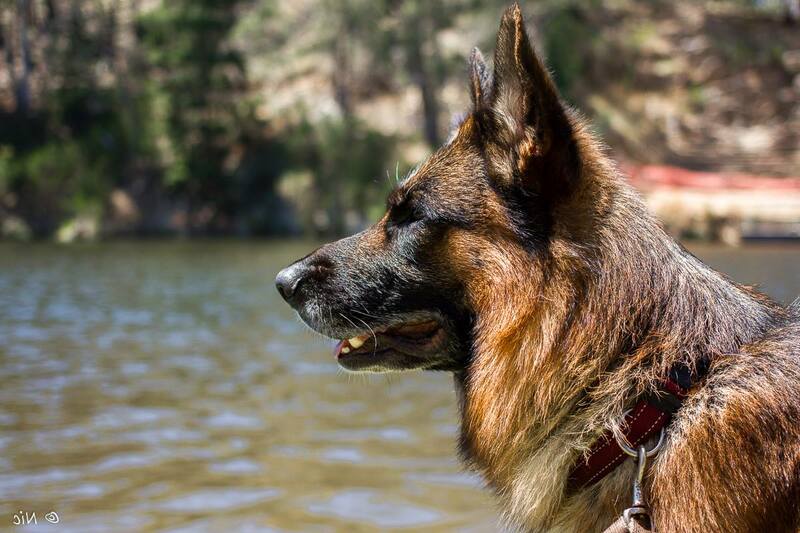 With this in mind, the German Shepherd Dog Club of Tasmania aims to improve the breed standard in conformation & obedience and to improve the public perception of the GSD by promoting responsible breeding practices & responsible ownership. Slideshow - GSDCT Club grounds & surrounds at The Esplanade, New Norfolk. Acknowledgment and grateful appreciation to Zhariva, Kazkiri, Nic Hamilton, Dan Weller & Rebecca Jacobson for permission to use their photographs on the GSDCT website.